Icaro is a Bocado Carthusian stallion, the Bocado bloodline is ancient and there are less then 500 horses of this line alive today! Icaro was purchased as an unbroken stallion, and began his ridden career with Historic Equitation. Nothing phase this little chap and we hope he enjoys the busy season we have planned ahead! 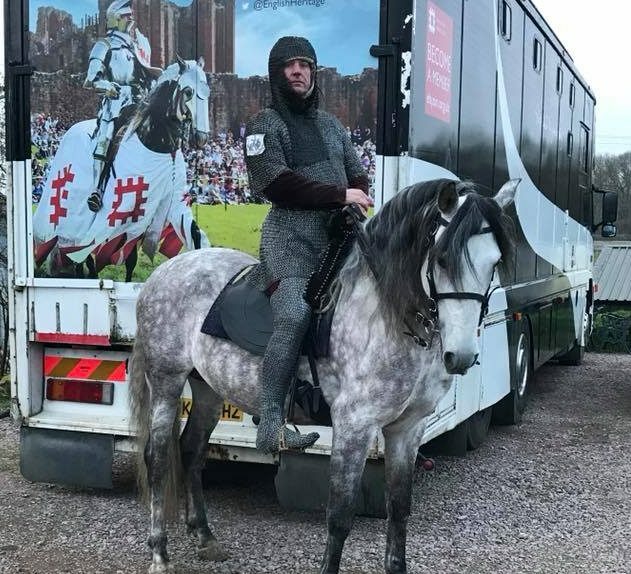 He made his jousting debut at Wrest Parks 13th Century Tournament on St George’s Day in 2018 as the mount of Dominic Sewell. He has since also been used in his first 15th Century Joust at Alnwick Castle where he took everything on his stride, a very useful horse indeed!